1. 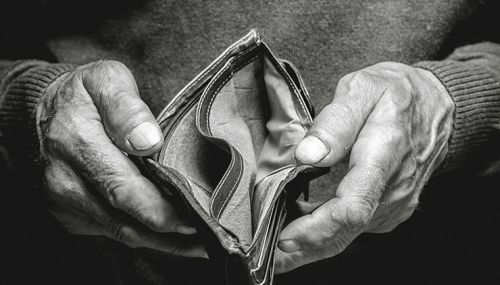 Participants were classified as “poor” at a given age if their net family income fell into the poorest fifth within their generation. They were classified as “persistently poor” if they were classified as in poverty at least two out of every three times that their net family income was measured. Income measures were collected from participants at ages 23, 33, 42, 50, and 55. 2. The names of the study members quoted have been changed to protect their identities. 3. State pension age for those born in 1958 is 66. 4. On 19 July 2017, the Department of Work and Pensions announced that state pension age for those born 6 April 1970 – 5 April 1978 would increase to between 67 to 68 years old, depending on date of birth. 5. The National Child Development Study (NCDS) follows the lives of over 17,000 people born in England, Scotland and Wales in a single week of 1958. Also known as the 1958 Birth Cohort Study, it collects information on physical and educational development, economic circumstances, employment, family life, health behaviour, wellbeing, social participation and attitudes. 7. The Joseph Rowntree Foundation is an independent organisation working to inspire social change through research, policy and practice. 8. The Economic and Social Research Council (ESRC) is the UK’s largest funder of research on the social and economic questions facing us today. It supports the development and training of the UK’s future social scientists and also funds major studies that provide the infrastructure for research. ESRC-funded research informs policymakers and practitioners and helps make businesses, voluntary bodies and other organisations more effective. The ESRC also works collaboratively with six other UK research councils and Innovate UK to fund cross-disciplinary research and innovation addressing major societal challenges. The ESRC is an independent organisation, established by Royal Charter in 1965, and funded mainly by the Government.